We are simply the best, cleanest, and friendliest Dry Cleaning Service in town. Conveniently located in the heart of Pacific Beach, just a few minutes drive from the La Jolla, Bay Park and Clairemont Mesa communities. Offering a 2-3 day turnaround on all types of items including Dress Shirts, Slacks and Dresses, We also offer premium Leather Cleaning including Jackets, Suede, UGG Boots, Hand Bags and more. 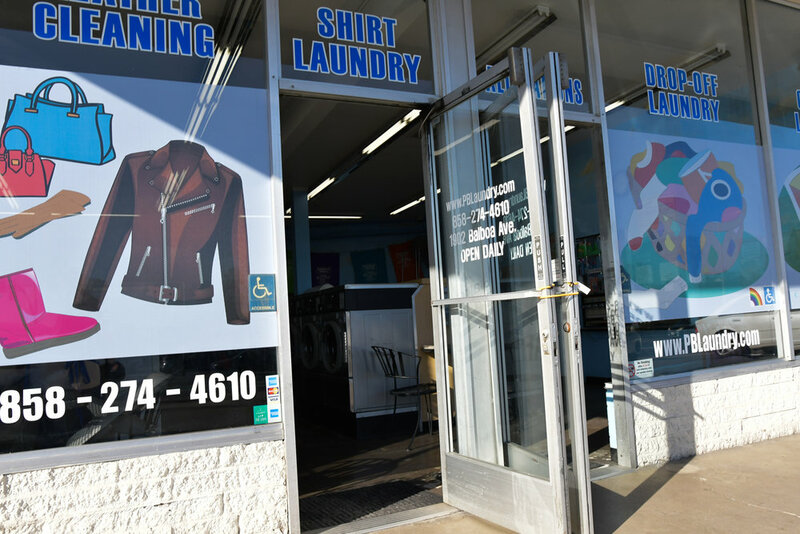 Learn all about our Leather and Dry Cleaning services. Laundry Day Just Got Easy! We can do your laundry for you! 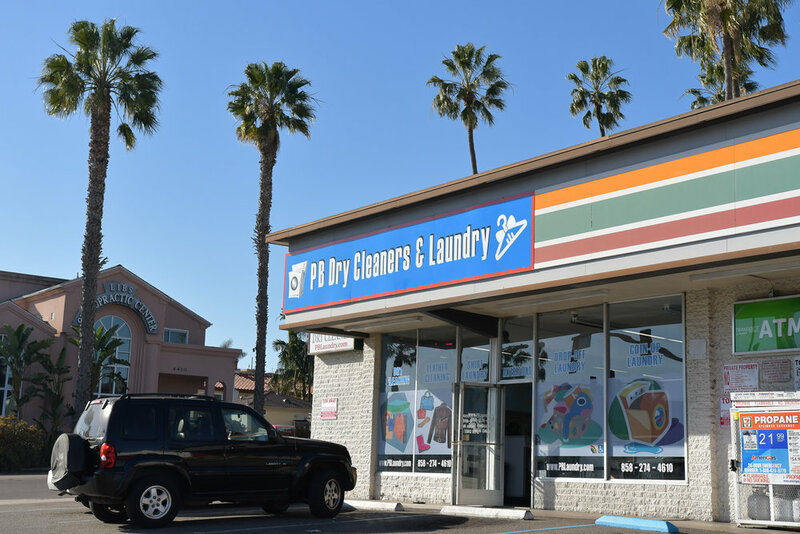 The convenience of our Drop-Off Laundry service makes laundry day a breeze. Let us know exactly how you like it, and we'll have your clothes washed, neatly folded, and ready for pick-up that same day. Click here if you would like to know more about our "Fluff N Fold" services. 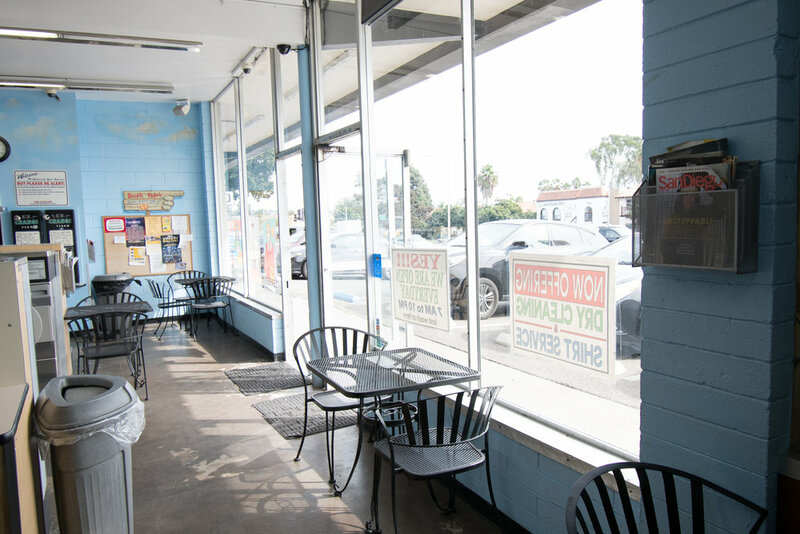 From our location, you are close walking distance to a great selection of food and drinks from the area's hottest bistro The Patio and restaurants! You can relax knowing that you and your clothes are in a safe environment. So why not make the best of your time while you're here? 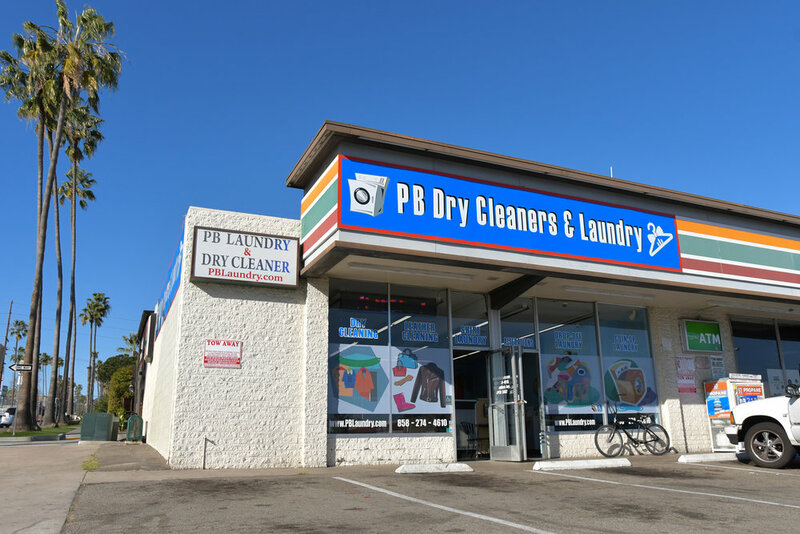 While you wash, you can take advantage of our on site parking, free WiFi, cafe style indoor sitting area, tons of work space with charging stations, and much more. Need Directions? Click on the map below! Look your best with our alteration & repair services. Something as easy as taking up the hem on a pair of pants or shortening a sleeve can make all the difference. We do everything from simple repairs like attaching buttons and repairing seams to more involved garment alterations. Visit our Alterations page for an expanded list of all of our tailoring services.